While we owe much to twentieth and twenty-first century researchers’ careful studies of children’s linguistic and dramatic play, authors of literature, especially children’s literature, have matched and even anticipated these researchers in revealing play’s power—authors well aware of the way children use play to experiment with their position in the world. 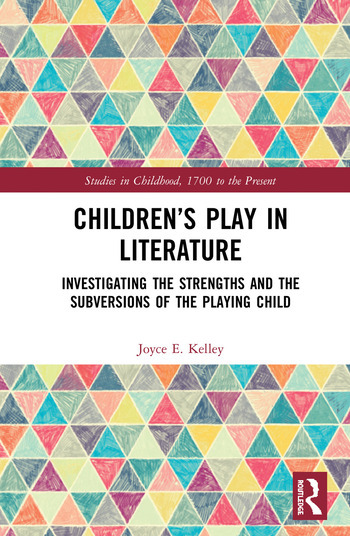 This volume explores the work of authors of literature as well as film, both those who write for children and those who use children as their central characters, who explore the empowering and subversive potentials of children at play. Play gives children imaginative agency over limited lives and allows for experimentation with established social roles; play’s disruptive potential also may prove dangerous not only for children but for the society that restricts them. Joyce E. Kelley received her Ph.D. in English from the University of Iowa. She is currently an Associate Professor of English at Auburn University at Montgomery where she received a distinguished teaching award in 2013. She has published articles in The Journal of Narrative Theory, Children’s Literature, Victorians, The Edinburgh Companion to Virginia Woolf and the Arts, and Politics, Identity, Mobility in Travel Writing. Her monograph Excursions into Modernism: Women Writers, Travel, and the Body appeared from Ashgate in 2015.